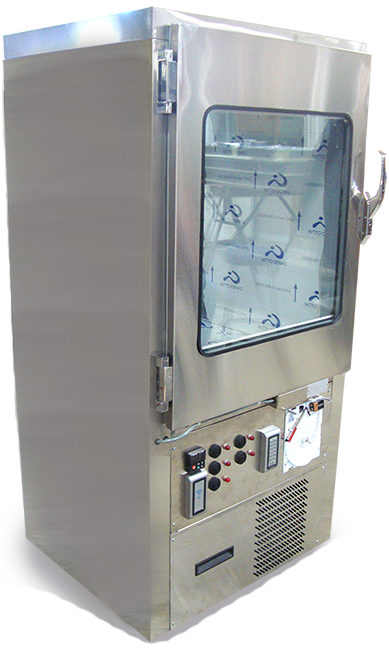 .RTF Biopharmaceutical Refrigerators are designed for scientific, clincal, and industrial use. They are equipped with heavy duty hermetic compressors and direct airflow cooling systems and maintain a standard operating temperature of +4°C within +/-1°C. Equipped with heated glass, keypad security system and battery backup. Pass-through models available. RTF Biopharmaceutical Refrigerators are available in four cabinet sizes to fit a variety of space and storage requirements. All models meet UL standards for safety and performance. Heavy duty stainless steel pull-out drawers extend fully for easy access. Microprocessor-based audio/visual alarm system with high- and low-temperature set points, power failure, and door ajar warnings.